A beautiful, sophisticated and caring boutique owner, Ifat Pridan, brought her extra winter clothes to House of Ruth in mid-March to donate to our clients. Her boutique, Lili the First, in Georgetown, has the finest designers and garments from all over the world. 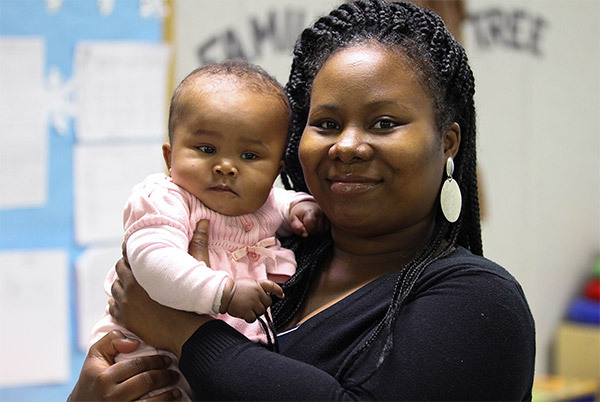 She shared dresses, blazers, shirts, pants and jewelry with nine clients from our scattered site programs. 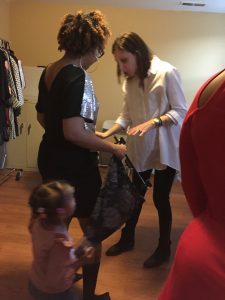 Every woman left with at least two pieces plus jewelry, and staff, clients and volunteers were impressed with the generosity of spirit taking place that night. “The team and myself had a very emotional evening, we never thought that working in or owning a boutique could contribute so much confidence to women who need it the most,” said boutique owner Ifat Pridan. Thanks to Lili the First, House of Ruth board member Gina Schaefer for connecting us to the boutique, and to all of our clients who are bravely starting anew.